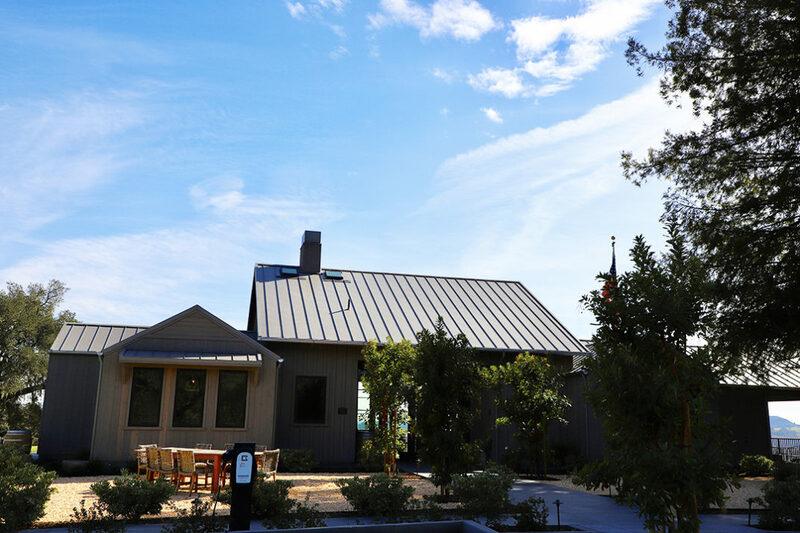 Arriving at Robert Young Estate Winery on a gorgeous day in Alexander Valley. 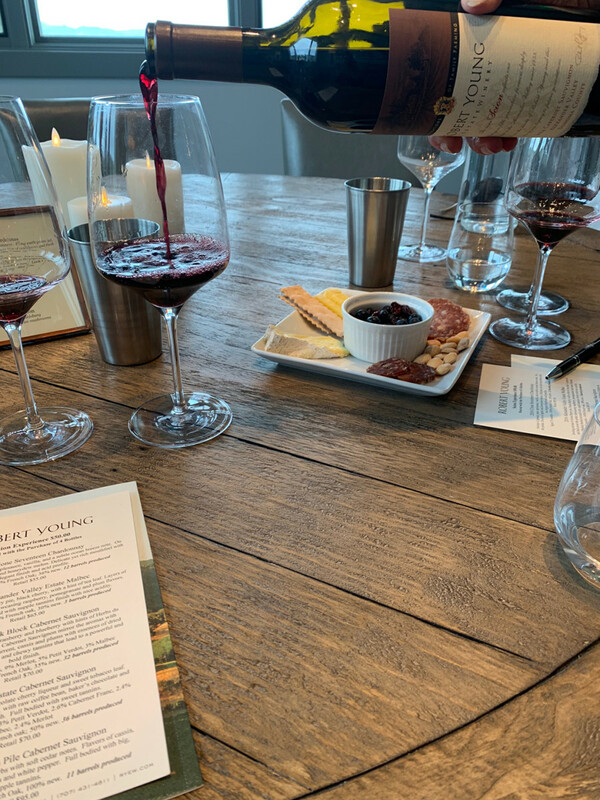 This was my first time visiting Robert Young Estate Winery and the first time trying their wines so I was really excited to see what was in store…. 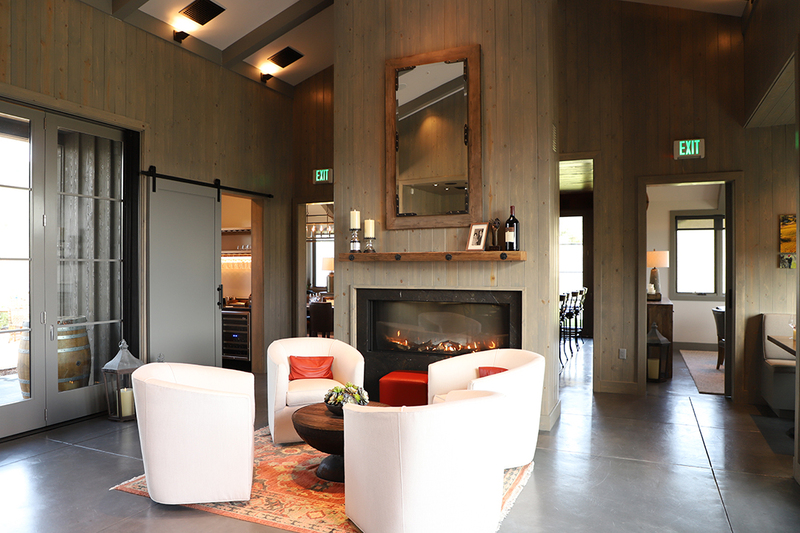 We were welcomed to a chic, beautiful winery interior. 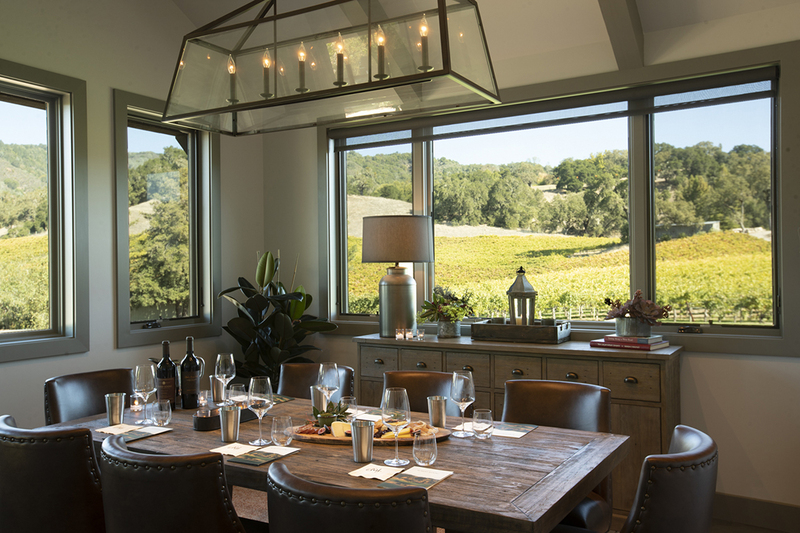 The vibe feels similar to a Restoration Hardware store (which I love) with high lofted ceilings, a bit of the elevated barnyard vibe with spectacular views of the Alexander Valley steps just outside for guests to enjoy. 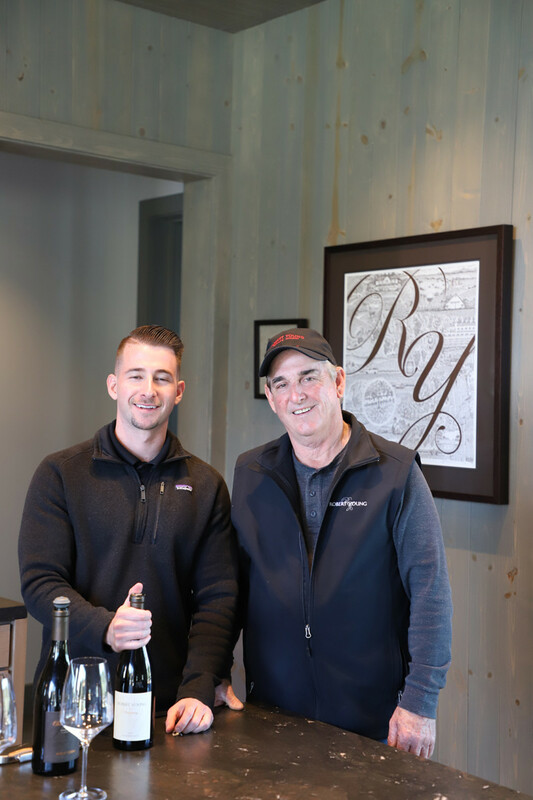 Robert Young Junior and Fred Young, Founder & President of Robert Young Winery. These two gentlemen were both working at the winery and were there sharing a warm welcome with me upon arriving. Talk about hospitality. 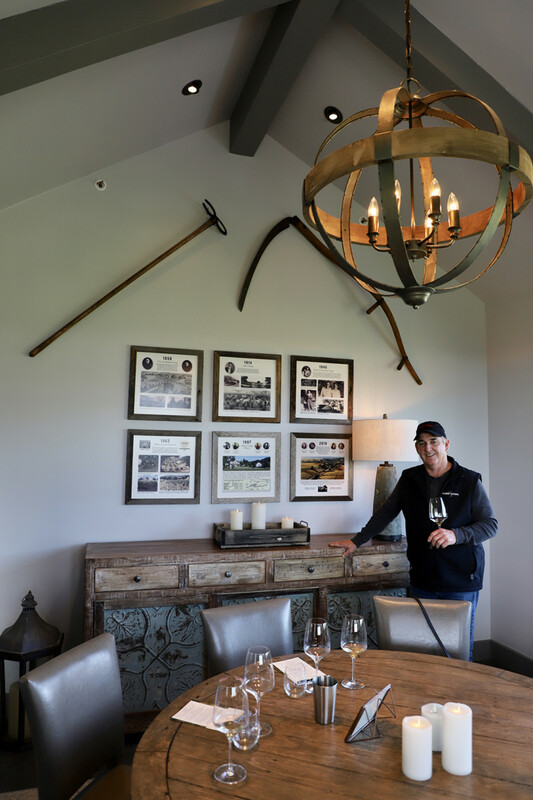 Robert Young Jr. manages the hospitality of the winery so this is typical for guests to experience a family member greeting or hosting them for a visit. The family involvement, hands on vs. some owners who you don’t get to see a meet was something I immediately fell for at Robert Young Estate Winery. The Chardonnay we were welcomed with by Fred and Robert Jr. upon arriving. 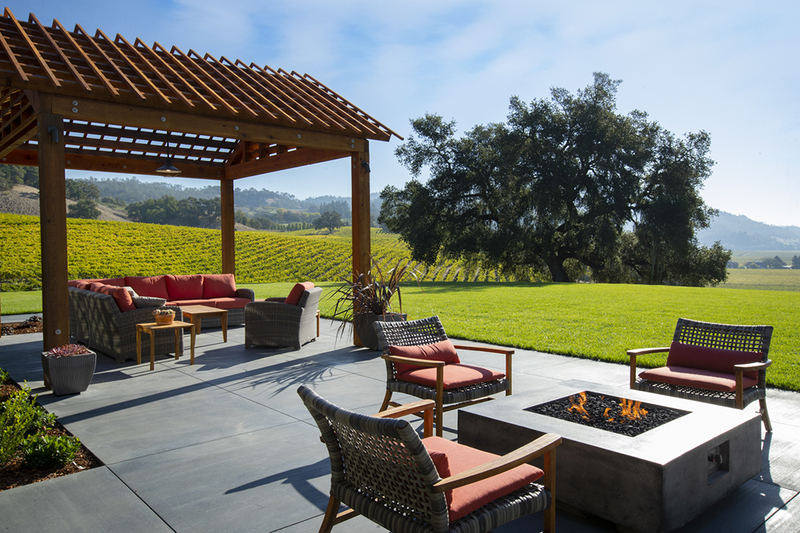 The beautiful views of the rolling Alexander Valley vineyards and hillside which guests enjoy at the winery. We went on a perfect day in Wine Country with perfectly blue skies on a bright sunny day. 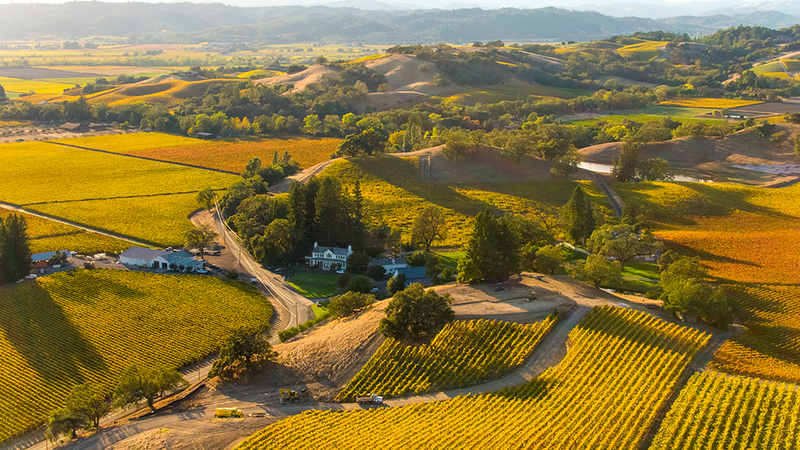 This is a view of the winery and sweeping vineyards to give you an idea of how much land Robert Young Estate Winery has (448 acres to be precise, 317 planted). The majority of the grapes they grow are sold to other wineries in the area, they produce approximately 4K cases (roughly 5% of the total grapes they grow). 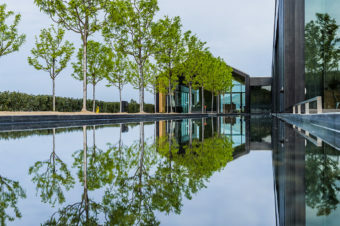 This explains why until this visit I hadn’t come across Robert Young Estate Wines before, this family is really growers and not until recently opening the tasting room did they start to sell their own wines. 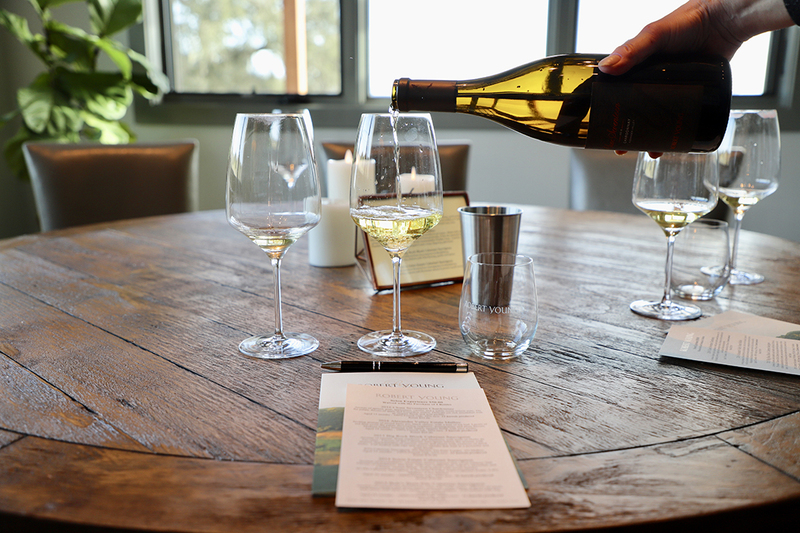 There are approximately three private tasting rooms at Robert Young Estate Winery where guests can enjoy a seated tasting. 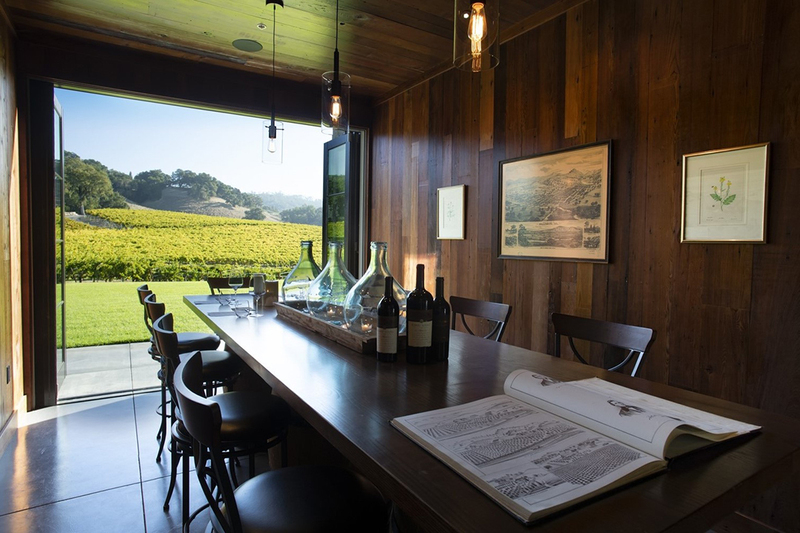 Each room has a unique design and style to it which is nice, creating different settings for various types of tastings, group sizes…. During my tasted Fred Young guided me through the rich history of the family shown through years of photograph’s shown above. The family was first working in cattle and wheat, then prunes and in 1963 they partnered with UC David who suggested they try planting Cabernet Sauvignon in the Alexander Valley region. After the Cabernet Sauvignon was planted and they saw how great the region was for growing grapes they transitioned out of prunes into grape growing! 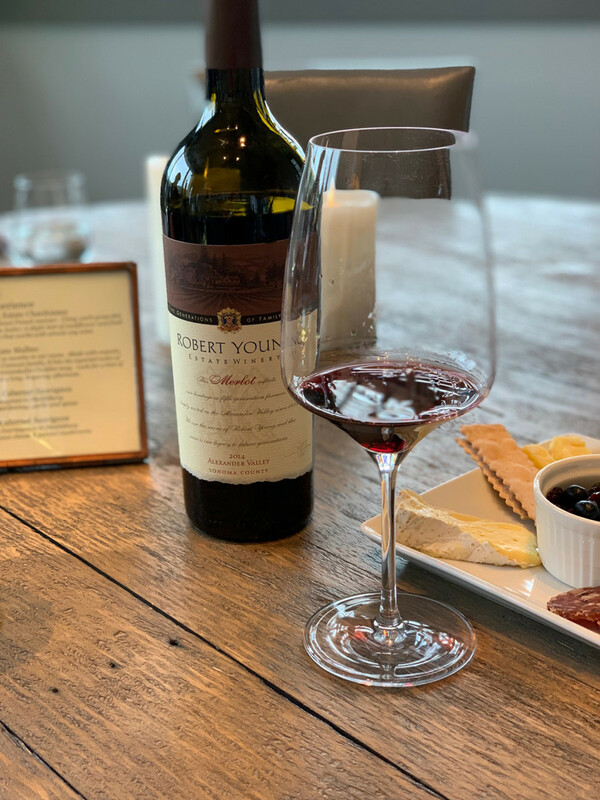 Robert Young Estate Winery was one of the first growers in this region to grow Cabernet Sauvignon, look at the Alexander Valley now they’re known as the premier region in Sonoma County for Cabernet Sauvignon! 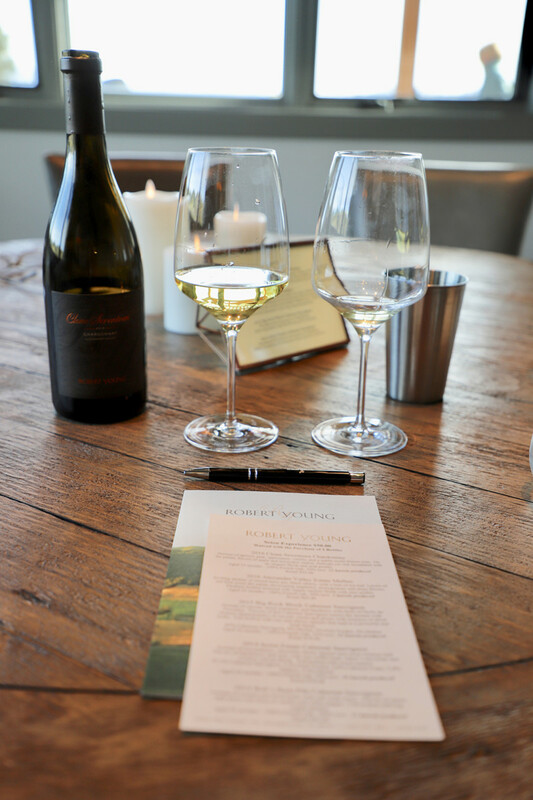 I tasted two distinct Chardonnays during my visit, the Alexander Valley Chardonnay and the Clone 17. 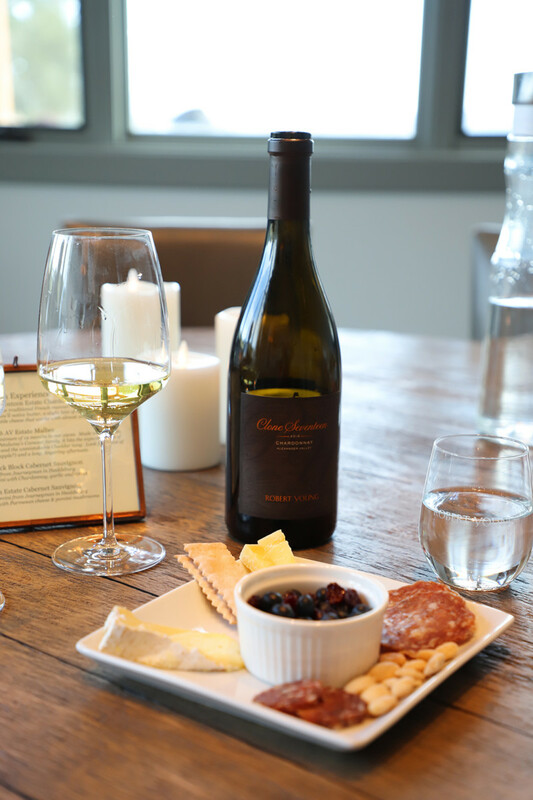 The Alexander Valley is their flagship Chardonnay which has full, rich flavor and strong Oak expression. 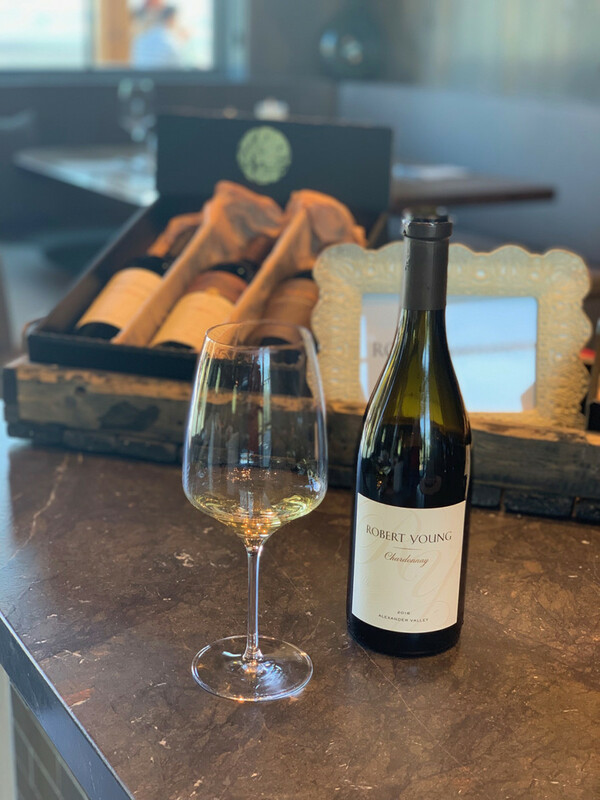 The second Chardonnay I tried, which I adored (even more as the Alexander Valley Chardonnay was quite lovely), was the Clone 17, named after Robert Young’s proprietary clone developed for the family by UC Davis in the 1980’s. This Chardonnay is made with bent barrels versus toasted oak barrels showcasing a more elegant expression and less oak on the palate. 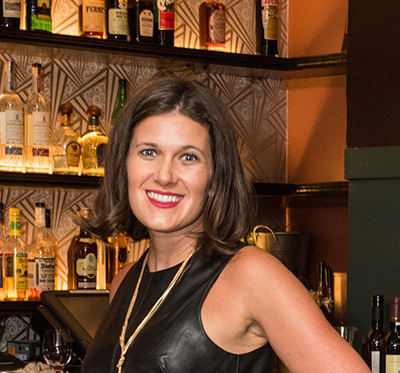 I loved them both, however, one was a Chardonnay I could drink a bottle of (meaning more than just one glass which I say when I really adore a wine). Both had rich flavors, not overpowering oak or butter flavors, yet showcases full body expression as I typically like in Chardonnay. I would not describe these as lean chardonnays coming out of stainless steel tanks, they are for sure made in Oak and that’s intentional yet they’re measured and perfectly balanced. 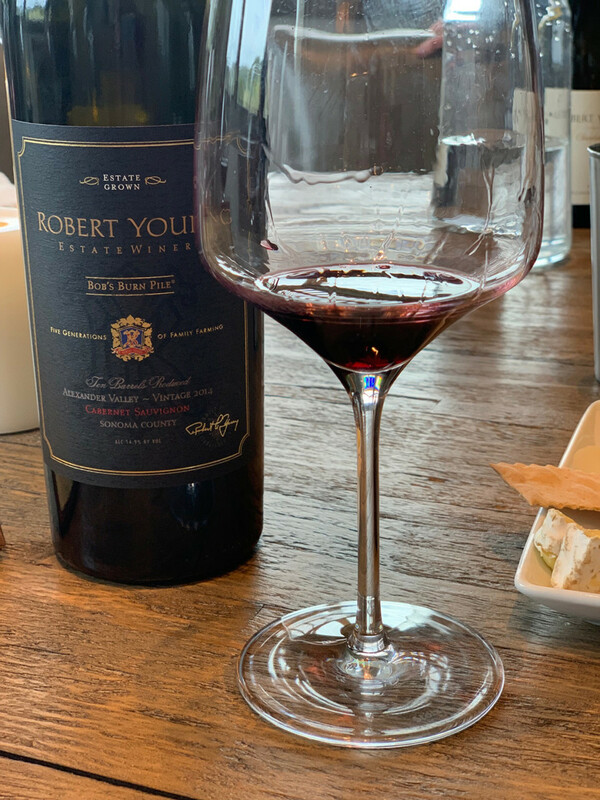 After the Chardonnay tasting we moved onto red’s tasting the Robert Young Estate Winery’s Cabernet Sauvignon and Merlot. These wines were both lovely and something any Cabernet Sauvignon or Merlot drinker would love. Cheers to this stunning Merlot from Robert Young Estate Wines. My recent love for Merlot has made me really get excited when I find an elegant, silky and lovely Merlot which is exactly what this wine was! Thanks to the Robert Young Estate Winery team for hosting me to your winery for this lovely visit and wine tasting.